"Aviation Safety, in all of its guises, is GA Aviation Consultants' first and only concern and to that end our clients' safety on the ground and in the skies is our Alpha and Omega." The inherent dangers of being on an airport Ramp are generally misunderstood and the number of ground staff and aircrew who fail to see what is in front of them can only be described as an exhibition of complacency. Over the years a number of people have been injured or killed by not obeying the rules. Airports give Safety Induction training to Security Permit Holders but still poor standards of safe behaviour are exhibited around this continent. Vehicles are driven at excessive speed with scant regard for the speed limits displayed in the relevant areas. Brake checks are not carried out prior to entering a parking stand. Drivers do not bring their vehicles to a complete stop at stop signs. Foreign Object Debris (FOD) checks are not carried out prior to an aircraft's arrival onto a parking stand nor after the aircraft has left. Drivers are on their cell phones whilst manoeuvring around aircraft, guides men are not used to position equipment up to the skin of an aircraft. High visibility clothing and ear defenders are not worn when they should be. Aircraft are not chocked properly and sometimes the chocks which have been used are left on the aircraft parking stand. The list goes on. The only vehicles that have the absolute right of way on airside are Emergency Response ones that are involved in attending to an incident or accident and they must have their warning lights flashing. Ramp safety is of paramount importance to all of us in the aviation industry. Instead of wandering aimlessly on the apron paying more attention to our cell phones/Pok�mon hunting we should each make a concerted effort to be more observant and pick up lose items (including stones) in order to try to clean up our areas of operation in terms of removing FOD. 03 Feb 16 S76 0 136.70 nm from AEHA Field, Bonny Island, inward MMIA Lagos, Nigeria. 10 Aug 16 Guimble Cabri 0 Mossel Bay, WC, RSA in a field approximately 200 meters from the N2 close to the Hokaai road stall. Poor ATC coupled with inadequate navaids. Poor Marshalling combined with inappropriate behaviour of drivers on the ramp and taxiways. Poor ATC control of aircraft in the area. Adverse weather caused by the ITCZ. A conference for existing and prospective clients is being arranged for early 2017. We will publish details when they become available. Detecting turbulence is the Achilles' heel of modern-day aviation. The reports submitted by pilots, subjective and often very inaccurate, are the least expensive and the most frequently used method for trying to predict where it will occur. Scientists from the Faculty of Physics, University of Warsaw, have demonstrated that turbulence can be detected in a much faster and more precise way, using data already routinely broadcast by the aircraft operated by commercial airlines. Anyone who has experienced turbulence on an airplane certainly knows that it's no fun ride. Despite advancements in technology, methods used to detect these dangerous atmospheric phenomena are still far from perfect. However, there is every indication that data allowing pilots to avoid turbulence and even to forecast such occurrences are already being routinely recorded. Jacek Kopec, a doctoral student at the Faculty of Physics, University of Warsaw, and a member of the staff of the University's Interdisciplinary Center for Mathematical and Computational Modelling (ICM), has managed to extract this valuable information from the flight parameters routinely broadcast by the transponders installed in most modern commercial aircraft. This new method for detecting turbulence is so original and potentially easy to implement on a large scale that the report describing it has been featured as a highlight article in the journal Atmospheric Measurement Techniques. "Today's commercial aircraft fly at altitudes of 10 to 15 km, where the temperatures fall to -60 �C. Conditions for measuring atmospheric parameters are very difficult, which explains why such measurements are not taken systematically or extensively. A lack of sufficiently accurate and up-to-date information not only exposes aircraft and their passengers to danger, it also restricts the development of theories and tools for forecasting turbulence," Jacek Kopec says. At present, pilot reports (PIREPs), relayed by radio and provided to pilots of other aircraft by air traffic controllers, are a basic source of turbulence data. Since these reports are based on the subjective opinions of pilots, the data collected in this way are often marred by substantial inaccuracies in both the area of turbulence and its intensity. More accurate readings are provided by aircraft involved in the Aircraft Meteorological Data Relay (AMDAR) program. This method is nonetheless costly, so data collected at cruising altitudes are transmitted relatively rarely. In practice, this prevents such reports from being used to detect and forecast turbulence. Passenger aircraft are fitted with sensors that record a variety of flight parameters. Unfortunately, most of the data are not made publicly available. Publicly available reports include only the most basic parameters such as the position of the aircraft (ADS-B transmissions, which are also used by the popular website FlightRadar24) or its speed relative to the ground and the air (Mode-S data). 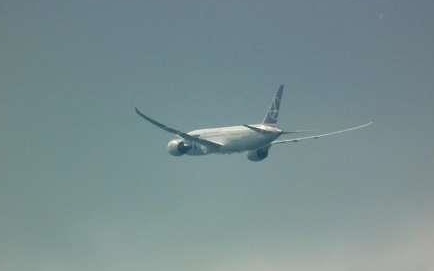 Meanwhile, detecting turbulence requires knowledge of the vertical acceleration of aircraft. "Vertical accelerations are especially strongly felt both by the passengers and by the aircraft," Jacek Kopec explains. "Unfortunately, there is no access to materials regarding vertical accelerations. That was why we decided to check if we could extract such data from other flight parameters, accessible in Mode-S and ADS-B transmissions. The research aircraft in a project in which I participated was fitted with a suitable transponder, so we took advantage of that fact. By coincidence, our co-author, Siebren de Haan from the Royal Netherlands Meteorological Institute, recorded the transmissions received from the transponder," he adds. Scientists from the Faculty of Physics tested three algorithms of turbulence detection. The first relied on information about the position of aircraft (ADS-B transmissions). However, preliminary tests and their comparison against the parameters registered in the same area by the research aircraft failed to produce satisfactory results. The remaining two algorithms used the parameters received approximately every four seconds through Mode-S transmissions. In the second approach, the parameters were analysed using the standard theory of turbulence. In the third approach, the scientists adapted a method for determining turbulence intensity previously used to measure turbulence on a very small scale in the understory of forests. It turned out that once wind velocity in the vicinity of the aircraft was determined and its changes were analysed in successive readings, it was possible to use the latter two theoretical approaches to locate turbulence areas with an error of only 20 km. Passenger aircraft need around 100 seconds to travel this distance, so this level of accuracy would allow pilots to manoeuvre their aircraft to effectively avoid turbulence. By harnessing existing data, this system of turbulence detection developed at the Institute of Geophysics (Faculty of Physics, University of Warsaw) therefore requires no significant investments in aviation infrastructure. In order to be operational, the system needs adequate software and a computer connected in a simple way to the devices that receive Mode-S transmissions from the transponders on board aircraft. Such devices are standard equipment in air traffic control institutions in Europe. In this system, passenger aircraft act as sensors by creating a dense network of measurement points above Europe. "In the coming months, we will be working to improve the software. Nevertheless, we have already achieved our most important goal: we have proved that the method for detecting turbulence we have proposed really works and can provide pilots with information enabling them to avoid dangerous areas in the atmosphere. Turbulence detection will also help improve aviation forecasting methods," stresses Prof. Szymon Malinowski from the Faculty of Physics, Jacek Kopec's doctoral dissertation advisor and one of the authors of the publication. The turbulence detection system has been developed under a grant from Poland's National Science Center (NCN). Data for the research was collected in a flight test campaign financed from the Seventh Framework Programme of the European Union. Christopher Hart argues that 'human pilots are still crucial. In aviation circles, there is a running debate about a proposal that sounds radical, but-beyond the public perception problems that would be associated with it-isn't so far-fetched: remove the pilots from the cockpit of airliners. After all, the thinking goes, pilot error is the leading cause of aircraft crashes. Take the humans off the flight deck and human error is no longer a factor. In any case, the argument for pilotless cockpits goes, computers are already flying the aircraft most of the time a modern airliner is in the air. US National Transportation Safety Board (NTSB) chairman Christopher Hart addressed the issue of pilotless commercial aircraft today in a very public way at the Air Line Pilots Association (ALPA) Air Safety Forum in Washington DC, a sign to me that-in the age of self-driving cars and with a looming pilot shortage getting a lot of attention-this is no longer a fringe debate. "The good news is there's automation" in aviation, Hart said in the opening of a luncheon address, before adding, "The bad news is there's automation." Hart argued that "human pilots are still crucial to the process," but he acknowledged that the level of automation in the modern cockpit creates challenges. A car, train or aircraft that is completely automated or completely manual is "unambiguous," he said. If it is all one or the other, "you know who's in charge," he explained. But it becomes more complicated when there is a combination of automation and manual control, which is the case in modern airliners. "The more the pilots become accustomed to automated safety, the more it takes to keep pilots engaged." Hart said. "In other words, there can be too much of a good thing." Could pilots become bored or even unprofessional if their workload is reduced to a minimum, Hart asked, citing the example of subway operators whose only job is to open and close doors on trains that are operated completely by automation. Engaged humans are needed in the cockpit because automation can fail, and it may fail in a way that seriously compromises safety, Hart stated. "On the one hand, the human operator is the least predictable part of the system," he said. "But the human also is the most adaptable part of the system." This ability to adapt on the fly can save lives, Hart said, citing the famous US Airways flight 1549 landing on the Hudson River in 2009. "The challenge is how to reap the benefits of the automation while minimizing its downsides," Hart said, adding, "Will airliners ever be completely automated? Accidents such as the landing on the Hudson are the reason why, in my view, we won't see complete automation in the airline industry for some time." With the passing of nearly two-and-a-half years since the disappearance of Malaysia Airlines Flight MH370, investigators still know more about where the missing Boeing 777 is not than where it actually is. While a few pieces of the airliner have washed up, despite millions spent in the search effort, there are scant clues as to the final resting place of the aircraft, which vanished in March 2014. Regulators have since been working, albeit slowly, to ensure such a situation is not repeated, by enacting a series of proposed solutions for tracking flights. "I think the technology is ahead of where the regulations probably are," said Jeffrey Rex, director of engineering and business development at Panasonic Avionics, speaking at a product demonstration in Newark, N.J., on August 18. "The opportunity is there to know where your aircraft are and track your aircraft without waiting for the regulations to do something about it in most cases." In November 2015, the International Civil Aviation Organization (ICAO) formally announced the adoption of commercial aircraft tracking Standards and Recommended Practices (SARPs), establishing that it is the commercial air operator's responsibility to track its aircraft throughout its area of operations, with a minimum tracking interval of 15 minutes per report. That information would be used to determine the aircraft's last known position for search-and-rescue operations, as well as to establish when an airline needs to report missing aircraft position information. This past March, two years after MH370's disappearance, ICAO adopted another amendment which includes SARPs relating to establishing the location of an aircraft in distress, by automatically initiating an increase in position information reporting to at least once per minute in abnormal flight situations. The measures pertain specifically to newly manufactured aircraft and are subject to acceptance and interpretation by each individual member state. The U.S. Federal Aviation Administration and other member governing bodies have yet to issue official endorsements on the amendments. The SARPs became effective on July 11, meaning the deadline passed for more than 50 percent of member states to block the move. 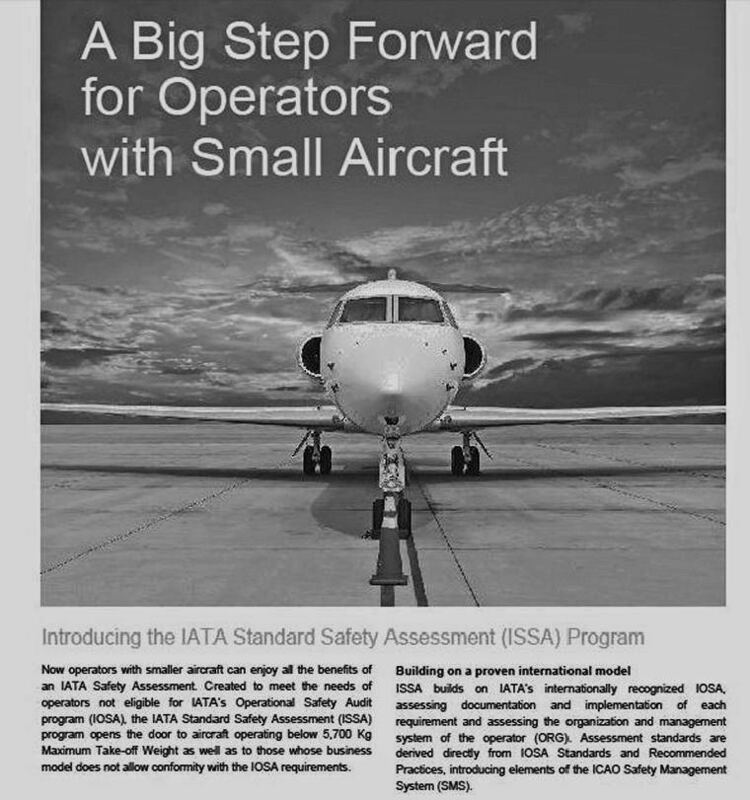 The measures will be applicable from Jan. 1, 2021, at which point states must have notified ICAO of any differences in their regulations and the ICAO standards. In June, Panasonic's avionics division announced it was offering flight tracking through its two existing global satellite communications (satcom) platforms, FlightLink and eXConnect, either of which would provide compliance with the ICAO advice in both normal and abnormal tracking situations. Together the two systems are installed on more than 1,500 commercial aircraft, any of which could be configured for flight tracking with just a simple software upgrade according to Rex. "There are a lot of systems that can be turned on in aircraft where you are just turning on an application and adding a small software upgrade, instead of waiting for a whole new system to come out," he noted. "That might take two or three years, and might comply with a standard that takes two or three years to develop, so stack that up and you probably get 95 percent of the end intent whatever that might be, just by putting out something you have today." Panasonic's narrowband, Iridium-based FlightLink system provides global cockpit voice and data communication and can also be tailored to stream other vital information such as fuel status, or aircraft health monitoring. The eXConnect broadband system operates on Panasonic's own Ku-band satellite network and provides 99.6 percent global air route coverage with the only gaps coming at the poles. Intended primarily for in-flight entertainment, the system provides Internet connectivity, wireless content streaming from an onboard server to portable devices, live global TV and global cellphone functionality. Both systems work with Panasonic's proprietary Airmap display and are custom configurable with the ability to set preferred reporting intervals, and initiate abnormal tracking mode automatically and remotely from the cockpit or a ground monitoring station. Yet, while ICAO has published its advice, many airlines are delaying embracing flight tracking technology until they are mandated by their aviation authorities to do so. "Some of our customers have been really proactive in engaging in tracking and they've helped push us to make the product better actually," said Rex. "One of the hurdles is the fact that the baseline systems to do this are not on every airplane, and it takes a while to modify aircraft," he told AIN. "It's not only the standards, but also the ability to go touch all the aircraft and do the modifications. There's a huge backlog for some of the systems that have to be in place." On 16 June 2016, the European Commission seven-year-ban on all Zambian registered carriers into European Union (EU) airspace was lifted. This ban was imposed following several findings, and a significant safety concern in the air operator certification process, revealed through an ICAO (International Civil Aviation Organization) audit on the Zambian civil aviation sector. The European Commission, under Regulation (EC) No. 2111/2005, has powers to ban operators registered in particular states, that fail to meet international safety and regulatory oversight standards, from entering the airspace of all EU member states. Non EU members like Lichtenstein, Norway and Switzerland would not grant landing permission either, because they are committed to EU aviation safety standards, and further, inbound flights into their territories have to transit through airspace controlled by other EU member states. Zambia was finally cleared after taking corrective action over a seven- year period, which addressed the findings and significant safety concern. Why should Zambia- with more than half of its population living below the poverty line- invest in aviation safety and regulatory oversight, to match the standards of a developed EU member state like Germany? According to the July 2016 World Bank development indicators database, the total nominal GDP of Zambia is 22 billion U.S dollars, while that of Germany is 3.3 trillion U.S dollars. Article 37 of the Convention on International Civil Aviation mandates all contracting states to ensure uniformity in regulations, standards, procedures and organization in relation to aircraft, personnel, airways and auxiliary services. This implies that standards should be the same in all contracting states, regardless of level of economic development. Zambia, being a contracting state, is bound by the provisions of article 37. Regulators, service providers, and airport operators have to comply with the same international minimum requirements regardless of flight frequency, cargo or passenger statistics. Countries with a small aviation industry and ultimately, less resources, always find difficulty complying with the requirements of Article 37. Regional integration is the best option for contracting states without adequate resources to satisfy the requirements of Article 37 above. #Training academies; like Euro Control, which provides air traffic control and air traffic management training for EU member states. Before breakup of the East African Community in 1977, EACAA (East African Civil Aviation Academy) provided training for pilots, instructors, maintenance engineers and flight operations officers for all East African states. #Airlines; like Scandinavian Airlines, which is owned by Denmark, Norway and Sweden. Air Afrique was partly owned by Air France and Benin, Burkina Faso, Cameroon, Central African Republic, Republic of Congo, Gabon, Mauritania, Niger and Senegal. East African Airlines was owned by Uganda, Kenya and Tanzania. 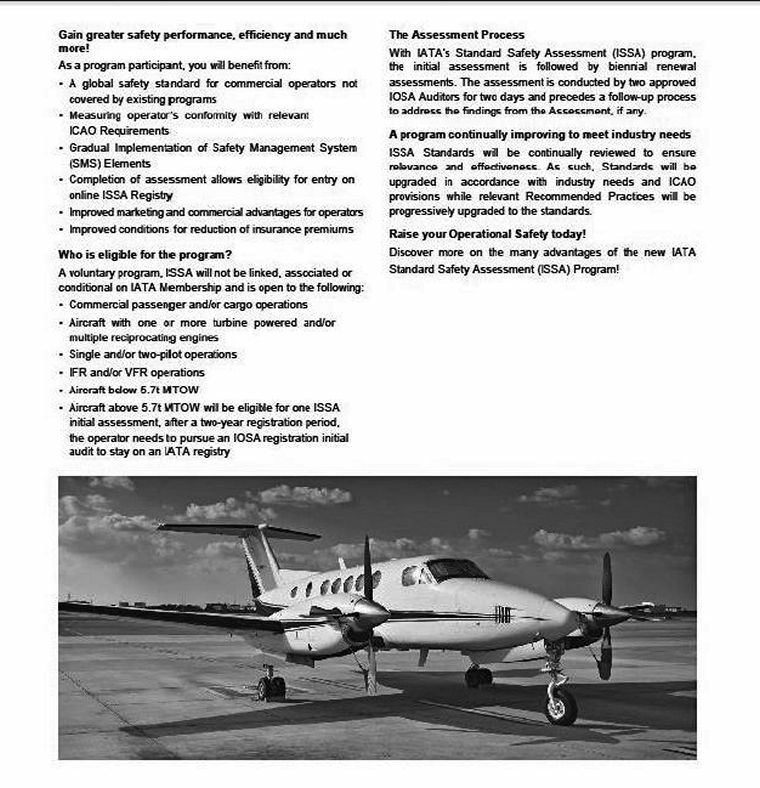 #Regional safety oversight organizations; like ACSA (Central American Agency for Aviation Safety), EASA (European Aviation Safety Agency), EAC CASSOA (East African Community Civil Aviation Safety, Security and Oversight Agency) established in 2007 under the revived East African Community. #Air Navigation Service Providers; like Euro Control which provides air navigation services to Belgium, Luxembourg, Netherlands and North West Germany through its Maastricht upper area control centre. Common infrastructure provides an excellent framework for pooling of technical expertise and cost sharing on regional projects like aviation safety oversight organizations. For example, EAC CASSOA hosts the East African civil aviation personnel licensing examination databank. This ensures uniformity in the region as all personnel (pilots, air traffic controllers, instructors, flight operations officers, cabin crew and maintenance technicians) are examined at the same standard prior to licensing. All East Africa Community states have adopted aviation regulations, technical guidance materials, forms and checklists drafted by EAC CASSOA. Enforcement is left to the national civil aviation authorities. CASSOA periodically dispatches technical teams to inspect facilities in EAC states, to advise on how the same can be improved and bring them in line with ICAO standards and recommended practices. Burundi, the smallest East African state is a recent beneficiary. In March 2016, Burundi requested, and CASSOA sent a team of experts to evaluate and advise on rehabilitation of aerodrome movement areas, and erection of a modern control tower at Bujumbura international airport. CASSOA undertook to assist Burundi by supervising the project up to completion, train technical staff at Bujumbura airport and equip them with the necessary skills for future construction projects at the airport. Burundi could not have achieved this on its own due to lack of resources and expertise. In Europe, EASA sets standards for EU members, and also for airlines of non EU members that fly into the EU. Common infrastructure ensures harmonization of regulations, policies, technical procedures and standards for the benefit and safety of all countries in the regional integration project. The updated EU list as of 16 June 2016 is dominated by African states namely; Angola, Benin, Comoros, Republic of Congo, Democratic Republic of Congo, Djibouti, Equatorial Guinea, Eritrea, Republic of Gabon, Liberia, Libya, Republic of Mozambique, Sao Tome and Principe, Sierra Leone, and Republic of the Sudan. The EU has totally banned or imposed operational restrictions on airlines registered in these states. The irony is that most of them are located in regions, or share borders with states, which meet international safety and regulatory oversight standards, and whose carriers fly into the EU. Possible assistance for the listed states, is a border crossing away. 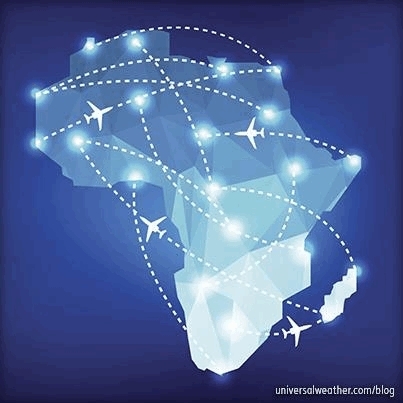 Aviation is a small industry in Africa, is expensive and ICAO standards will always haunt many African states. Regional integration is the best way to ensure compliance with the requirements of article 37. None of the East African states is on the EU list, thanks in part, to the EAC CASSOA. Users of the Johannesburg aerodromes must be aware of the fact that they all take Aviation Safety and AVSEC seriously. If you want to use these airports as a Pilot or are employed in any way on them, then we would recommend that you make yourself aware of Part 139 in the SACARs and the Rules and Regulations applicable to that particular aerodrome. Be prepared for fines being levied if you breach any of the SARPs. #Drivers found to be speeding on airside will have their access remote taken from them. #All delivery vehicles and visiting vehicles requiring access to airside MUST be escorted from the access gate to the premises and then after closure of their business back to the gate for egress. #All operators are required to report Bird Strikes to the Safety Office even if there has been no structural damage to the aircraft as a result of the strike. #Fuel must not be "trucked" into Rand Airport from other sources. Should there be a special requirement permission must be sought from the Airport Manager. The previous "block" method of charging landing fees will now cease with a discount being given to Rand Airport Air BP Customers which will amount to the same charges being levied as under the block system. Next Safety, Security and Stakeholders Meeting will be held on Tuesday 13th September 2016 at 12.00 in the LIA Training School. #Construction Project at the Southern Helipads consisting of the construction of a new concrete slab which will accommodate 3 x helipads and slurry sealing of the dust patches around the new and existing slabs is underway. Taxiway Yankee is closed for the duration of the construction work to mitigate any potential safety occurrences. #Should an emergency occur pedestrians are requested to stand still in a safe area out of the way of responding AR&FFS vehicles. #During any emergency Pilots, Instructors and students should try to keep the frequencies as clear as possible. Should your operation be of a size whereby the full time employment of an Air Safety Officer and/or Quality Assurance Officer is not financially viable then we can provide you with Consultants who have previously held Air Services Licensing Council approval. We can also provide you with a tailor made SA CAA approved Safety Management System and all SA CAA required Manuals for your operation. GA Aviation Consultants (Pty) Ltd accepts no liability for the content of this email, or for the consequences of any actions taken on the basis of the information provided, unless that information is subsequently confirmed in writing. If you are not the intended recipient you are notified that disclosing, copying, distributing or taking any action in reliance on the contents of this information is strictly prohibited.